Black Pencil began in 2010 as a one-off project for a Turkish music festival. Afterward, the group continued developing what became their signature performance elements: costume changes, audience interaction, repertoire ranging from early music to tango, and a style equal parts street performance and Brechtian theatre. 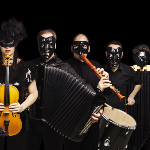 Black Pencil are comprised of an unlikely instrumentation, including the blockflute, panflute, accordion, and viola, complemented by electronics and multimedia. That lineup affords the ultimate flexibility for a group of unparalleled ingenuity. 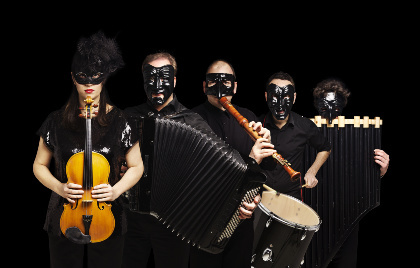 Black Pencil’s Classical:NEXT showcase is a staging in the vein of the Italian Commedia dell’Arte, where musicians ‘act’ as much as they play, and where each piece is a chapter in the larger storyline.